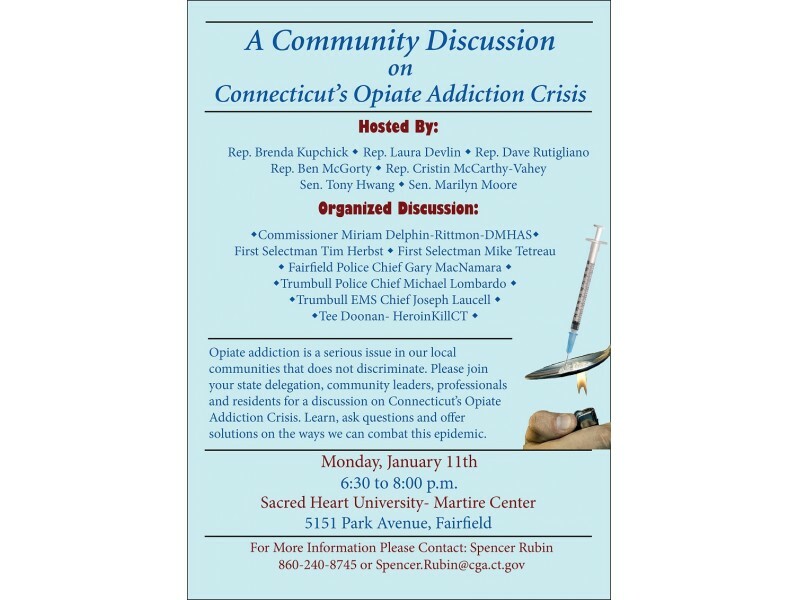 Dilworth IP’s Senior Patent and Trademark Paralegal, Theresa Doonan, will be participating in a panel discussion on Connecticut’s opiate addiction crisis this Monday, January 11th at Sacred Heart University in Fairfield, CT. Theresa is the co-founder of the Connecticut Heroin Task Force and HeroinKillsCT which were each founded to address and actively respond to the growing epidemic of heroin addiction in Connecticut. Monday’s panel will also include Trumbull and Fairfield First Selectmen, Tim Herbst, and Mike Tetreau, as well as the police chiefs from both towns,Michael Lombardo and Gary MacNamara, Trumbull EMS Chief Joseph Laucella, and Connecticut’s Department of Mental Health and Addiction Services Commisioner Miriam Delphin-Rittmon. This event will be hosted by local Connecticut legislators, Brenda Kupchick, Laura Devlin, Dave Rutigliano, Ben McGorty, Cristin McCarthy-Vahey, Tony Hwang and Marilyn Moore to create awareness and open a local dialogue regarding this, unfortunately, increasing problem.